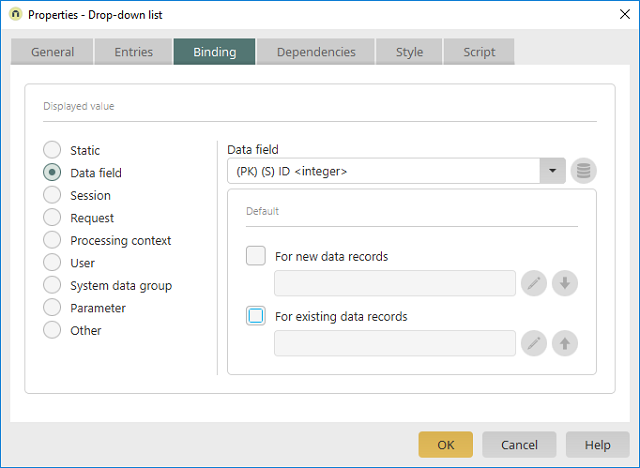 If you selected one of the options "Values from applications", "User-defined values" or "Special data sources" on the "Entries" tab, the dialog will be shown as above. Click here for more information about the possible settings. 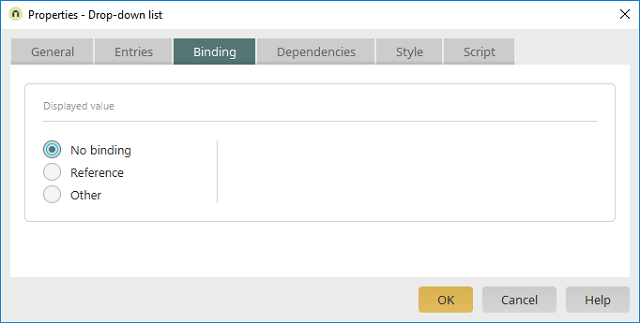 The list element has no binding. No more settings are required. The element is connected to the reference, which was selected on the "Entries" tab. The element can be provided with a custom binding here.